When I saw the Arc'teryx Alpha FL 45 pack at the Arc'teryx booth (instragram video) at the Outdoor Show at Friedrichshaven this year, I liked what I saw (and it won an award, so others must like it too!). I liked it even more when I learned I could test a sample. So I took the pack on a alpine climbing trip I had coming up. Below are my initial impressions, I will write a a long-term use report after I've used the pack a bit longer. 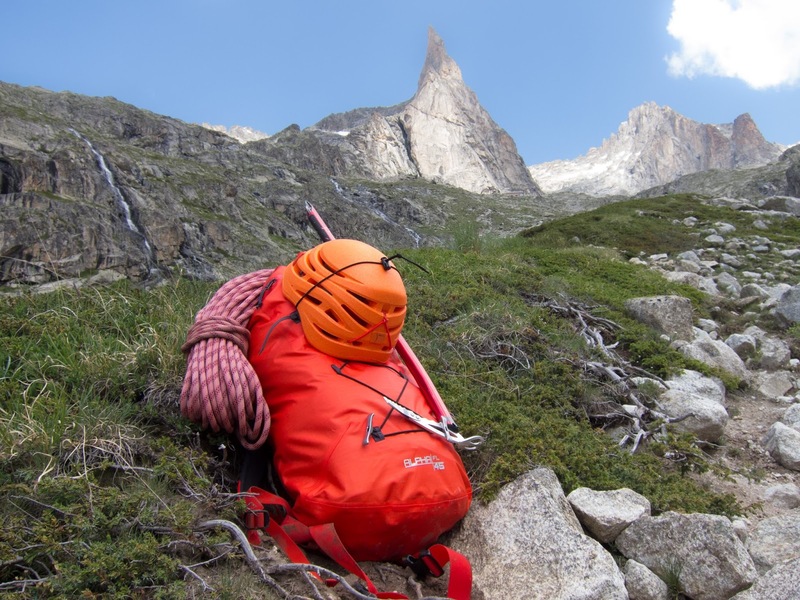 I took the pack with me to the Parc National des Ecrins in France, where I climbed the Aiguille Dibona via a relatively simple route called the Voie de Nain (AD-, 150m). I used it to carry my gear to the refuge, and then the next day when climbing the Dibona. 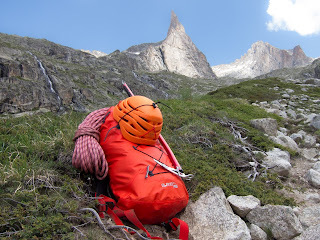 Being a minimal alpine climbing pack (the 'FL' in the name stands for Fast & Light), it's not the best load carrier, but for a load of around 13 kilo's from the trailhead to the refuge it was ok. The name implies its a 45 liter pack, but that's when you 've got the collar fully extended. Basic capacity is 32 liter, which was enough for the carry to the refuge, with the rope, helmet and iceaxe on the outside. It's very easy to attach these items to the pack. 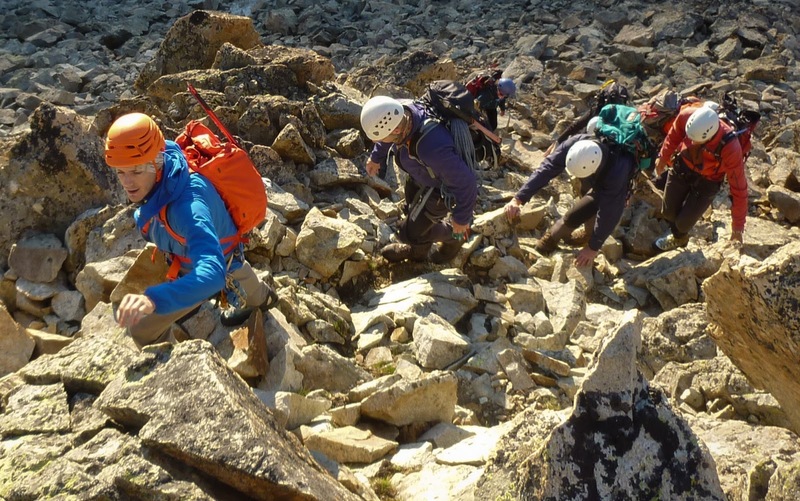 Actual climbing with the pack is a dream. At 32 liters it's not too large to use when climbing and it's not too small to leave anything at the refuge. The exteriour of the pack is very clean and very tough, using the proprietary AC2 material. The pack comes in 45 liter (32-45) and 30 liter (23-30) sizes. The Alpha FL 30 weighs 610 grams and will cost around 150 euros, the Alpha FL 45 weighs 659 grams on my scales and will cost around 170 euros. Available from spring 2014. So you'll have to wait a bit. Disclaimer: the pack I tested is a sample on loan to me for the purpose of a test.